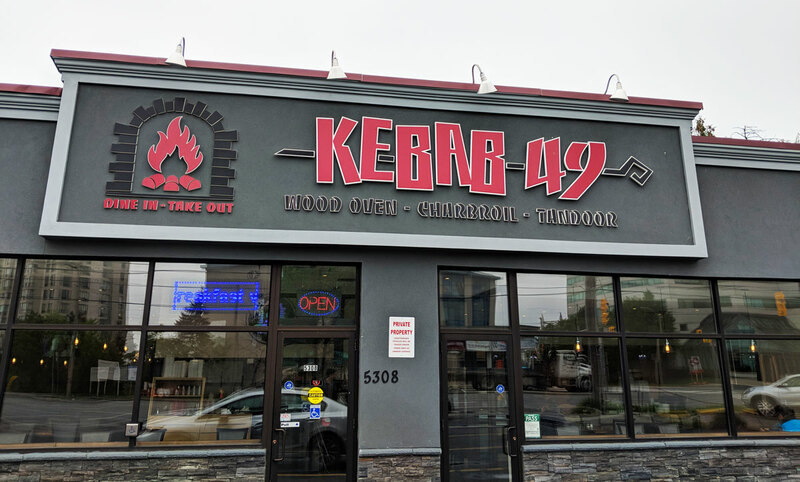 I’ve actually already written about Kebab 49, so I’m going to keep this post brief. That was a couple of years ago, and the place is still chugging along, serving some of the best doner in the city. Yes: Kebab 49 is still great. 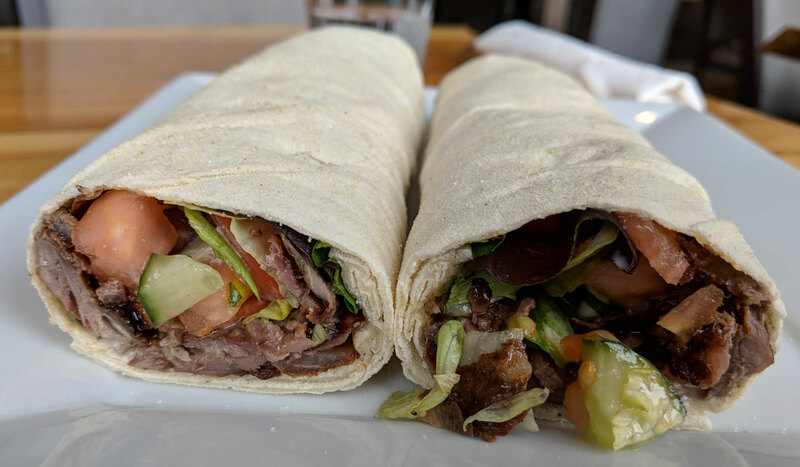 On this particular visit I got the durum wrap with lamb and veal (durum is a Turkish flatbread; Kebab 49 makes it in-house in their wood-burning oven, and it’s chewy and fresh and amazing). The lamb and veal doner is outstanding. A lot of shawarama/doner tends to be a bit dry, but not here — there’s just enough fat mixed in to keep things from drying out. It’s perfectly seasoned, and the distinctive lamby flavour really shines through. But the best part are all the crispy bits from where the rotating stack of meat has come into contact with the fire. This is how you know you’re dealing with a place that knows what’s what. Way too many restaurants start carving too soon, and you end up with sad, soggy meat. Not Kebab 49. You can’t really tell from the photo, but there were delicious crispy bits interspersed throughout the entire wrap. It was glorious.